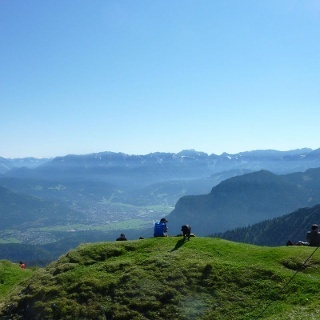 This hike takes you through the Partnach gorge, following the “King's Path” to King Ludwig II's hunting castle Schachen and then continuing on to the Meiler Alpine hut. This trail leads you past an unbelievable variety of sights. Right at the start of the hike you will see the newly completed ski jump – an architectural masterpiece – which hosts the annual New Year's Ski Jumping as part of the Four Hills Tournament. 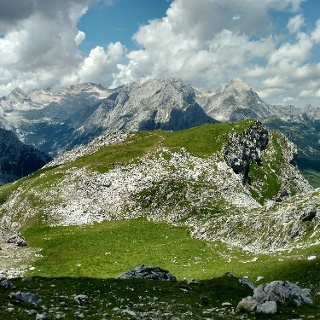 The Partnach gorge is wild and romantic and both the Schachen hunting castle and the alpine garden are real highlights on your way to the Meiler alpine hut. Beyond Schachen you will enter a world of alpine nature, finally arriving at the Meiler hut, which awaits proudly atop its rocky mountain saddle. Up here, everyday life down in the valley could not seem further away. 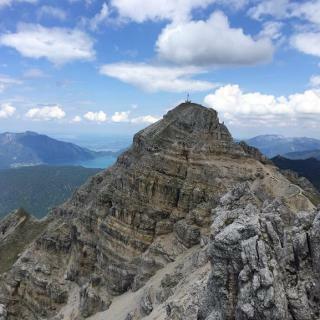 Detour from the Meiler hut along the climbing trail to the summit of the Dreitor (climbing equipment with helmet and – best of all – accompanied by one of our experienced mountain guides). You should be fit, sure-footed and should not suffer from dizzy spells. Sturdy, ankle-high footwear and weatherproof clothing. Your hike begins at the Olympic Ski Stadium. Start by finding the large information board to get your bearings before following the road upriver toward Partnach. On the right side of the road you will see crosses erected in remembrance of accident victims on this spot. Continuing along this road, soon you will pass the base terminal of the Graseck cable car. Shortly after this you will see an asphalt path leading to the start of the Partnach gorge, which was declared a natural monument in 1912. The gorge attracts tourists and hikers with its wild, roaring waterfalls and chutes. At an altitude of around 800m, the Partnach torrent has created a gorge in the rock up to 80m metres deep, forming one of the most beautiful gorges throughout the Alps. The footpath which takes you into the gorge begins right next to the water. In the past only lumberjacks, hunters and foresters came along this route, but as the number of tourists visting the area increased towards the beginning of the 1900s, the path was improved and above all, made safer. At the end of the gorge the Partnach opens up into a wide valley. Continue upriver until you reach a fork in the path. Follow the path signposted toward “Schachen / Kälbersteig”. The Kälbersteig – which means something like “calves' trail” - will lead you up the mountain for the next 3 hours. At around the halfway point this footpath crosses the Königsweg (King's way), along which King Ludwig once travelled to his castle by horse-drawn coach. The footpath is well-signposted throughout. The most spectular sight of your hike awaits you: the Schachen hunting castle, which was commissioned in 1869 by King Ludwig II. 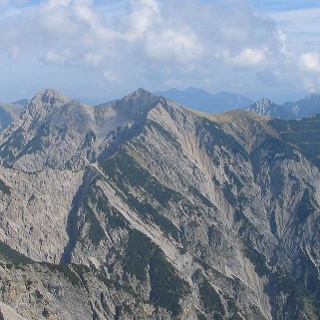 of Bavaria and completed in 1870, at an altitude of 1866m. The castle's facade was kept surprisingly plain in the style of the so-called “Swiss House”. The luxurious “Moorish Courtroom” - which occupies the whole of the top floor of the building – lies in stark contrast to the castle's simple outer face. Here a world of red, gold and blue awaits you. It was here in the Turkish courtroom, equipped with divans and a central, indoor fountain, that the King chose to celebrate his birthday each year on the 25th August in Apline seclusion. Nearby the castle you will find the botanical gardens, laid out in 1900. The gardens continue the “exotic” theme, presenting Alpine flowers next to plants from north America, Asia, the Carpathian and the Caucasus mountains. Behind the hunting castle the path continues on toward the Dreitorspitze. The Meiler hut is clearly signposted. 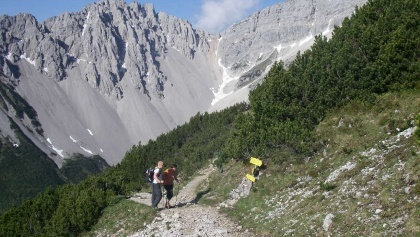 Here the trail becomes steeper and continues in a serpentine until it reaches a grass meadow which stunning views. From this point the route is flattens out until a final steep stretch which leads you through rock and rubble up to the Meiler hut. Recommendation: Overnight stay in the Schachenhaus or the DAV Meiler hut and on the second day the descent into the Oberrein valley, hiking back to Garmisch-Partenkirchen via the Oberreintal hut, Bock hut, Partnachalm and finally the Olympic Skiing Stadium. Take the train to Garmisch-Partenkirchen (hourly connections from München Hbf (Munich central station). From there take the regional bus 1 or 2 to the Olympic Ski Stadium. Take the motorway A95 to its end at Eschenlohe, and then follow the state road B2 to Garmisch-Partenkirchen. After the tunnel drive in the direction of the Partenkirchen part of town. Near the end of the town, follow the signs to the Olympia Skistadion (Olympic Skiing Stadium). 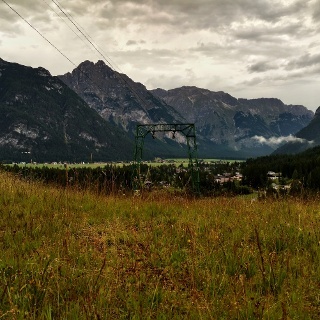 If you are coming from Mittenwald, take the state road B2 to Garmisch-Partenkirchen. Turn left at the first possibility. Follow the signs to the Olympia Skistadion (Olympic Skiing Stadium). If you are coming via the state road B23, drive to Garmisch-Partenkirchen and turn right onto Gernackerstraße at the second traffic lights. Follow the course of the road (St.-Martin-Straße, Bahnhofstraße). Turn right at the intersection at the town hall and stay on the main road until signs point you to the way to the Olympia Skistadion (Olympic Skiing Stadium) near the end of the town. At the Olympic Ski Stadium, some of which is paid parking (P13). Habe die Tour bereits zur gleichen Zeit 5 Jahre vorher gemacht. 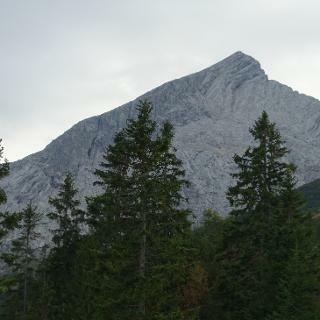 Auch diesmal als 2-Tages-Tour, um die Bergfeuer von oben zu sehen. Da die Partnachklamm weiterhin gesperrt ist (bis mind. 01.08.18), ging es über Vordergraseck bis zum Ausgang der Partnachklamm und von da an den Kälberstieg hoch. Also etwa 200 zusätzliche Höhenmeter. Die Wandertour bietet alles, was das Wanderherz glücklich macht und fordert! Steile Passagen, lange Wege, viel Panorama und mit dem Schachenschloss und dem Botanischen Alpengarten auch zwei kulturelle Höhepunkte. 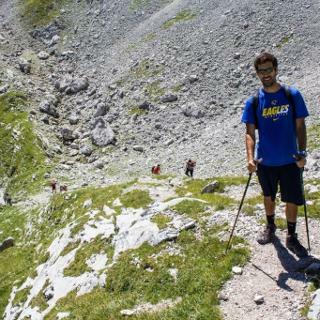 Insgesamt eher nicht für Wanderneulinge gedacht, die überhaupt keine Erfahrung im alpinen Gelände haben. Die Meilerhütte und besonders das Zimmer Nr. 1 sind sehr zu empfehlen! Traumhafte Aussicht, gemütliche Gaststube und super Bewirtung. Am 22.06. abends hat es auch noch geschneit, Schnee ist aber nicht liegen geblieben. Im oberen Bereich gab es noch Restschneefelder, die aber nicht direkt auf dem Weg lagen (2013 war das anders!). Ein herrlicher, aber auch kräftezehrender Aufstieg. Besonders der Kälbersteig und dann der Abschnitt vom Schachenhaus zur Meilerhütte haben es in sich. Zur Belohnung gibt's aber tolle Aussichten.